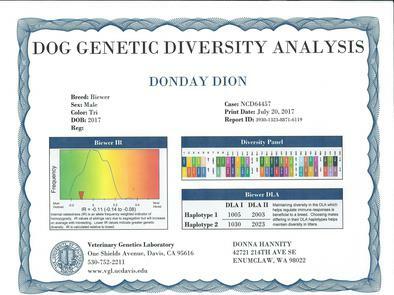 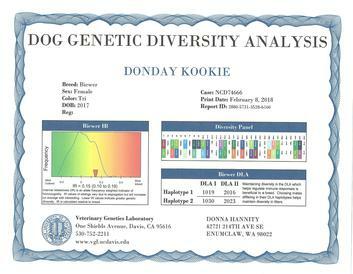 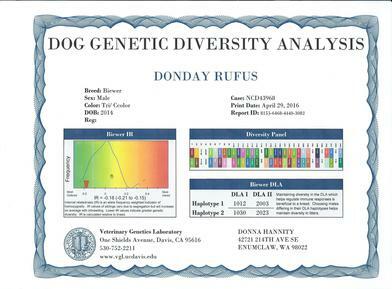 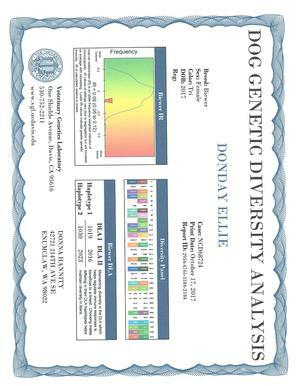 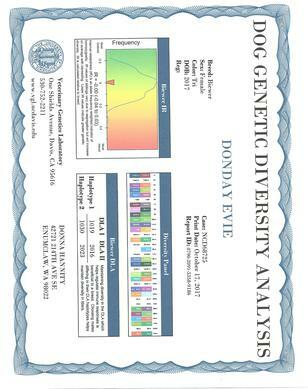 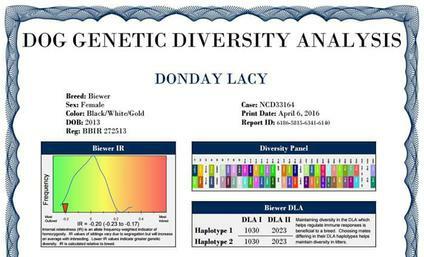 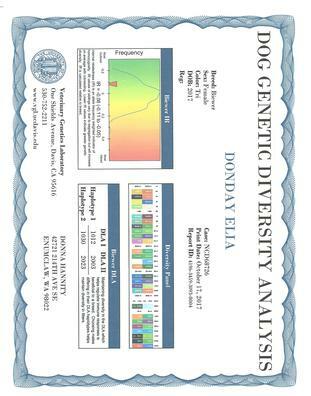 Since Donday went to UC Davis and talked with Dr. Pedersen to get the Biewer's into the Genetic Diversity Test, Donday has enrolled everyone of our breeding dogs into the UC Davis Genetic Diveristy Study before even thinking about breeding them. 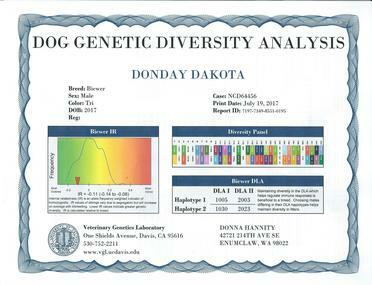 We want to know that we are doing everything we can to improve the breed. 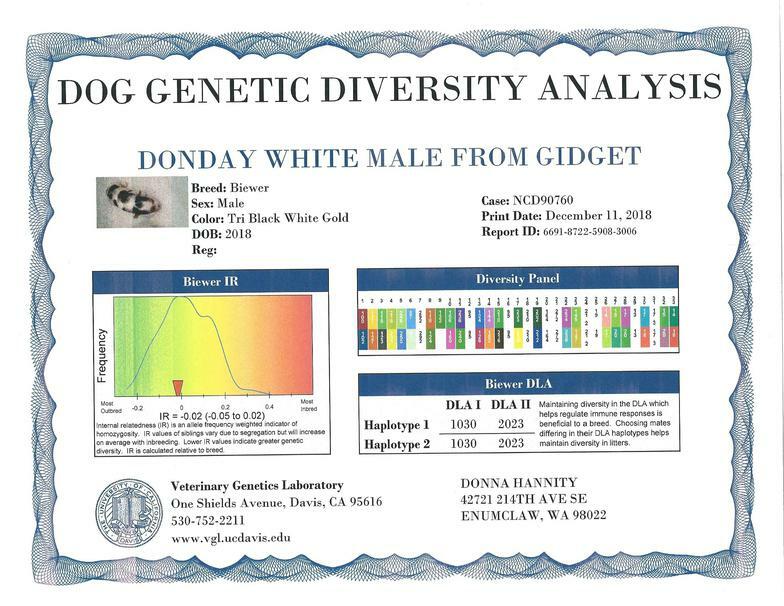 ​ UC Davis Genetic Diversity is a continuing study for the Biewer , as we go through the different stages of the study, UC Davis is looking for different markers that could affect our breeds Health and Longevity. (Please understand ) it is NOT a commercial DNA test for your dog. 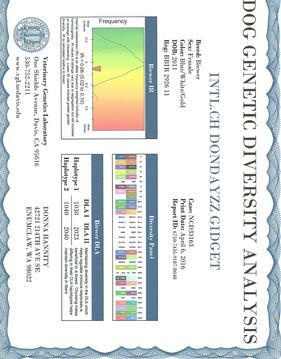 You are entering your dog into the Study for the Biewer 's Breed, ONLY ! 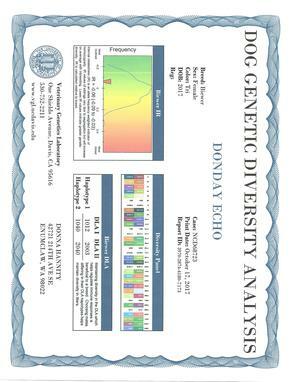 If you want to know more about this study please go to UC Davis Genetic Diveristy click on the Biewer Breed . 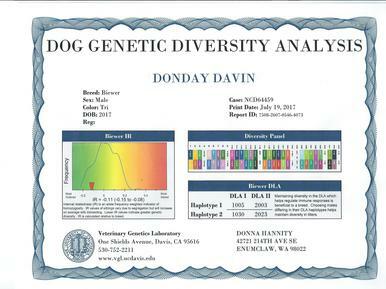 Donday has tested every litter since the Biewer Breed was enrolled into the UC Davis Genetic Diversity Study. 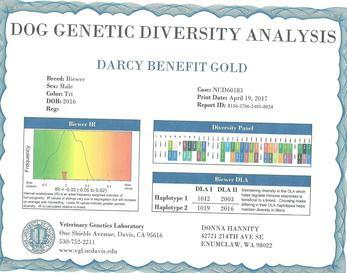 Donday Lacey and Darcy Benefit Gold Litters results. 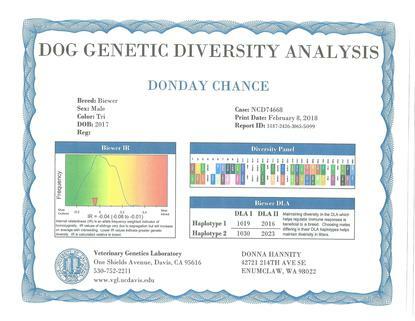 THIS IS WHY EVERYONE SHOULD TEST THEIR FULL LITTER!!! 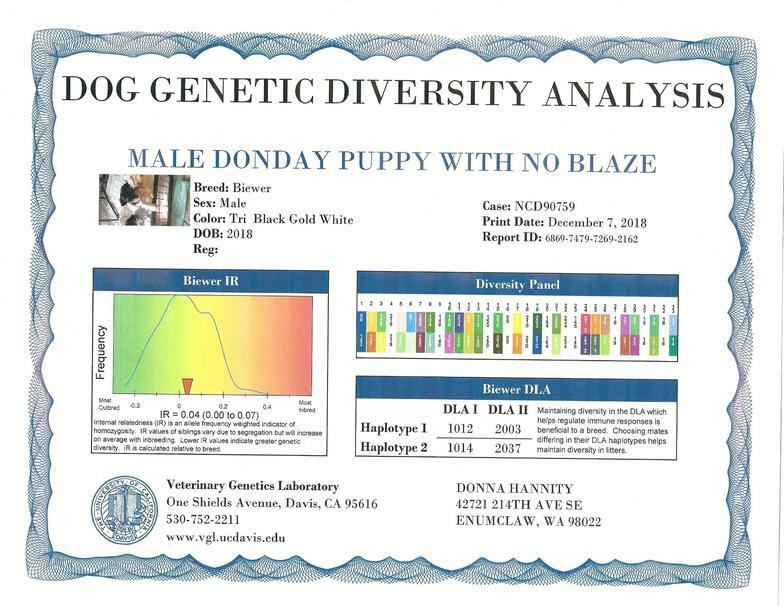 Looking at the results , you can see that all of them are different, unless you test everyone you just don't know if your watching your most diversified puppy walk way. None of these results are bad ! 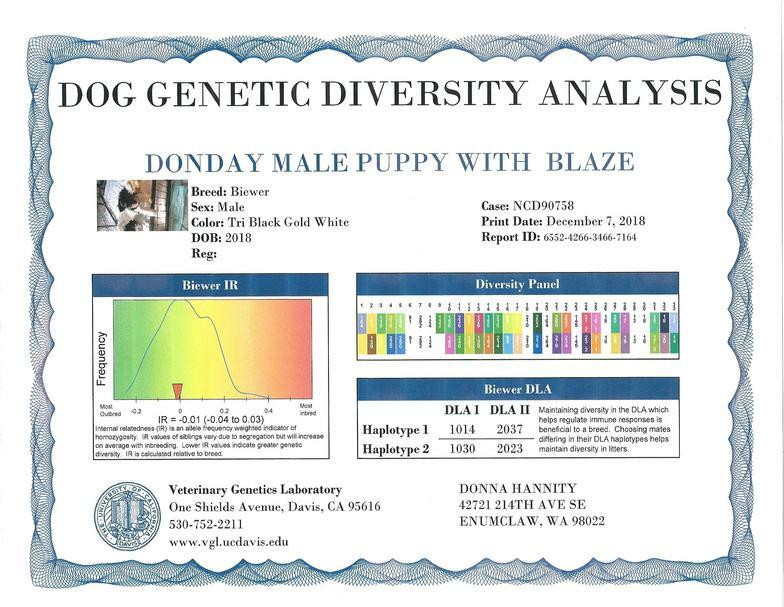 This information is giving me the knowledge that I need to help improve my lines, and breed healthier puppies, for the new owners that I'm fortunate to sell to.